Clear plastic Super Paks are the most convenient and economical packaging for contractors and service people. 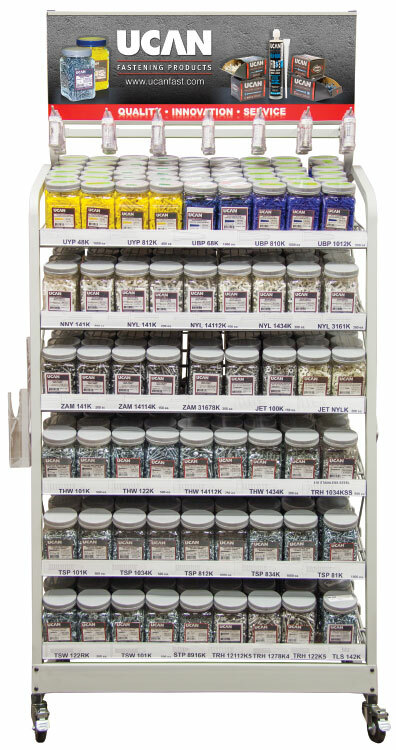 Super Pak jars measure just 3½" x 3½" x 6" high so they fit easily on to service truck racking and tool carrier trays. A large 3¼ diameter screw on lid gives easy access and prevents waste due to spilled product. 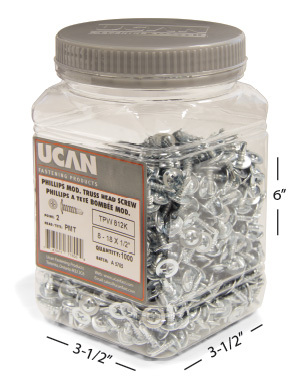 A wide range of Ucan anchors and metal drilling screws are now available in Super Paks.